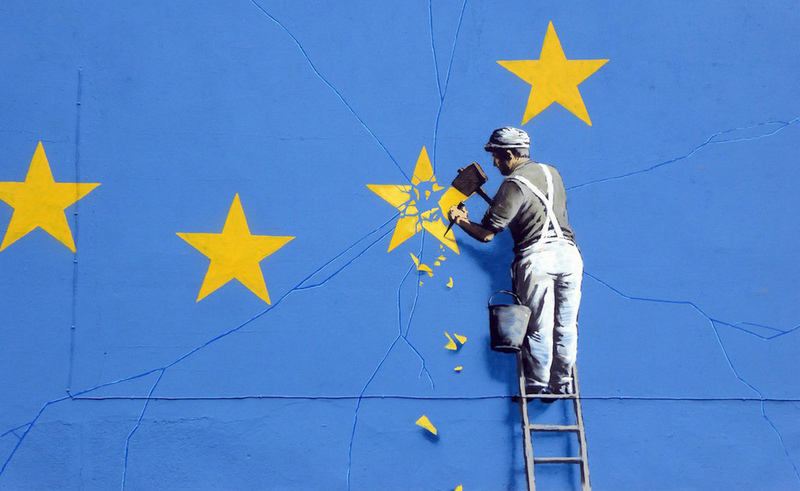 THE writing was always on the wall, from the fateful day in the 1970s when Prime Minister Edward Heath triumphantly took his country into what was deceptively described as an “economic union” with Europe. One shouldn’t doubt his sincerity, but it might have been a more successful marriage if he had been rather more honest about its ultimate aim of a federation of European states and did not leave us to discover the truth as the years progressed. But if the truth had been revealed, our one previous referendum on Europe, in 1975, might have produced a rather more negative result. From Julius Caesar to Napoleon and to rather more recent tyrants, history has not been overly supportive of the concept of a European state. Why should this one be any different? The last 40-plus years have answered this question admirably. Clever people are always telling us that the days of the nation state are over in our “globalised” world and we must graduate to more advanced systems of governance. Sadly, this tends to contravene most of our human instincts and our natural loyalties to family, to the place we call “home”, to our football team, village, town, region and lastly our nation. Anything bigger becomes more remote and impersonal, unrepresentative, undemocratic, and (if it is calling the shots), prescriptive. The failure of the European Union and its various elements to comprehend these human foibles, which they so evidently despise, has been largely responsible for our negative attitude to those in positions of power in Brussels. Why can we not learn to love Brussels and all the terribly well-meaning prescriptions it produces for our own good? Once again, there is something rather instinctive about our attitudes and reactions when we hear about some new directive that will be affecting the minutiae of our lives. We don’t call out “thank you Brussels”, even in its “client kingdoms” where the gold starred blue flag flies over every example of public works, when we cannot buy garden pesticides or electric light bulbs, and discover that something we have always done is now being proscribed by some EU Directive. If you like history, the sentiments behind Brexit are not that different to those which galvanised the citizens in the American colonies to declare their desire for independence from remote, bossy, exploitative Great Britain, from where their laws were being made and their taxes were being levied. Fast forward to the independence of India, Ireland and all those countries of the British Empire, which wished to plough their own furrows, despite all the beguiling economic arguments for the status quo; for peace, prosperity and railway trains that ran on time. The word is “sovereignty”. You might suggest that the success of the British Commonwealth is that it has been established to be the very opposite to all those institutions we find repugnant. It’s not bossy, expensive and intent on accruing power. It is about mutual respect and friendship, which is why we can live with it. It is why its members are not demanding their freedom from its benign membership rules. And if we continue the historical analogies, the conduct of the European Commission, since the referendum, has not been very different to that of those earlier great powers when people across the seas demanded freedom and independence from their rule. Perhaps they didn’t actually send in the tanks (only because they didn’t have any), but the whole atmosphere of the negotiations has been one of sneering superiority, determination to punish the UK for its disgraceful decision, treating our negotiators with distain. It often seemed like the treatment of a defeated foreign power, as the terms of the armistice were dictated after the surrender. I would suggest that the Commission’s behaviour has been self-defeating and has merely reinforced the reasons why the UK had voted in such a fashion. Who would want to belong to any sort of institutions that treated its members in such away? In the end, it has been the EU’s scarcely disguised thirst for more and more power that has made us dislike it so much. It is uninterested in democratic accountability, it always knows best, while its functionaries seem like Sir Humphrey on steroids in their superior pronouncements. Thus, it is not difficult to discern why the UK “establishment” is so appalled by the prospect of the UK’s departure and has done its utmost to frustrate it. For a start it is so much easier to implement rules that others have prescribed, than to do the dirty business yourself. And think of all those wonderful, highly paid jobs in Brussels to which one might aspire, when Westminster palls, but which will be no longer an option. But that’s human nature, too. But Brexit is also about putting right what was to me a great wrong, when this country turned its back on our kinsfolk and aligned ourselves with Europe, regardless of the frightful economic harm it would do to them. In a very fine club in Sydney, New South Wales, I was once shown a huge painting of Sydney Harbour crowded with great liners, which would carry tens of thousands of Australian troops to fight for this country in 1940. My host had tears in his eyes as he identified those great ships. And at the same time in Wellington, another amazing four-funnelled fleet was carrying away the First Echelon of the New Zealand army to fight on our behalf on the other side of the world. Some might suggest that our dalliance with Europe, and the way these and other countries were treated in the cause of economic rationalism was little short of treachery. So, in the end, for me, Brexit is about blood.